Qualisteo offers electricity measurement and control solutions for professional buildings, featuring a tenfold reduction on the instrumentation costs compared to the hardware intensive and intrusive legacy solutions. We deliver up to 30% savings on electricity with a ROI < 2 years. Our solution is approved by Tier 1 users and received the European Innovation and SmartGrid France awards in 2013. Electricity consumption measurement and control solutions. For us, Measurement is a Service, an energy efficiency service from recommendations up to delivery of savings. Qualisteo technology is the fruit of 7 years of research and development with Intellectual Property intensive, award winning and oriented Cleantech project in the field of smart grids. Qualisteo offers combined radical innovations materialized by affordable products and services to measure, control and predict electricity in professional buildings. We reduce by a factor up to 10 the instrumentation costs, compared to the hardware intensive and intrusive legacy solutions. We provides unique universal measurement hardware and software, combined with control-command capability, rated as “2012 product of the year” by the reference newspaper in our industry. 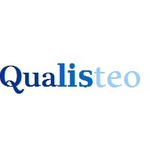 Qualisteo is looking for partners and clients interested in our technology.